Cover Thumbnailer is a small Python script which displays music album covers in nautilus, preview of pictures which are in a folder and more. The script fits in nautilus like any other thumbnailer of the GNOME thumbnail factory; so you don\'t have to run it manually to generate thumbnails. Cover thumbnailer is free software under GNU GPL v3+ license, you are free to modify and redistribute it under the terms of the license. Ok, I’ve install it, run it, choose where my music is, press ok, and the program get closed, and dont do nothing. Same here installed it and nothing. Re-installed and nothing. What am I missing? Open again, and you’ll see the changes. 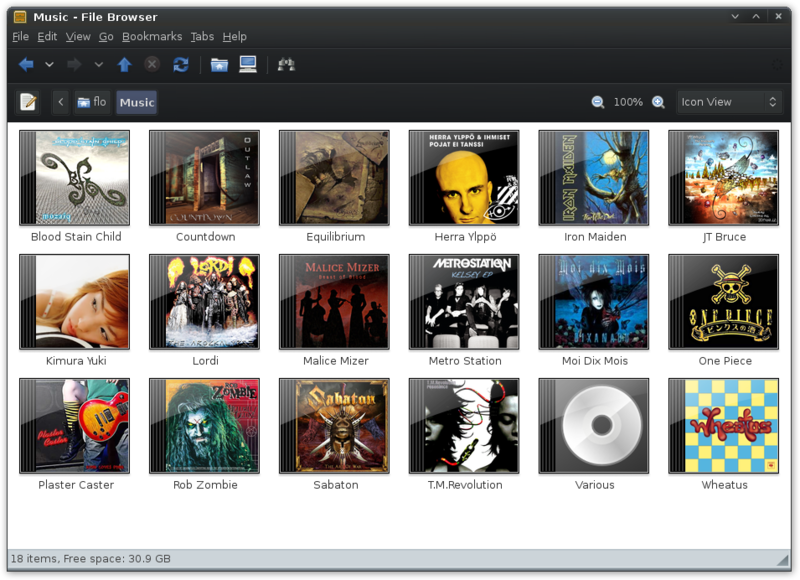 Installed it, configured it, no thumbs on a folder with 3 decades of music. Only subfolders suddenly appear as a CD with booklet. Not ready for 10.04 ? work well for meee!!! woohoo..
Wow, it looks great. Exist something similar for kio (KDE4)? derr.. i figure it out.. nautilus view has to be sent to icon view. nice app! Thnx! I want to undo the effect. I have purged it done everything to get rid of it. Even deleted all my Music. Only one problem remains. It still does not show a normal music folder icon in docky bookmarks. Shows some coverart. hate it. Great, thx. Work for me after I restart my PC. Ya, I am having trouble with the app on my 10.04 install as well. The app installs, I add a few folders to the Music list, I assure there is a *.jpg in the folder, and still no change on the icon. I purged nautilus cache, relaunched nautilus, even rebooted the machine…no go. Python is in my PATH. I know it works on another box of mine with Karmic Koala, but not here Lucid Lynx. Does anyone have it working on 10.04?